This resource is also relevant to Media Studies: Audiences, the Documentary form, Media in society, Representations of the outback and Codes and Conventions of documentary film. This is an extract only. Teachers and students should consult their state’s curriculum and learning programs. What visual images does the filmmaker use to get these message(s) across to the viewer? Analyse camera shots and angles, music and voice over. 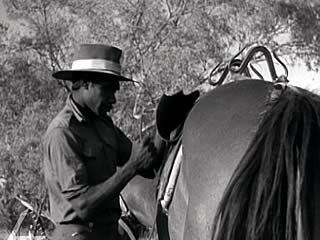 Discuss what common images are selected to appear in most depictions of outback life? Is life in rural and remote Australia stereotyped? Write a short article for your school or local newspaper profiling the job of local policemen and women. You may need to interview local police. Go to Screen Education and Metro Magazine for excellent articles and study guides for studying Australian documentaries.